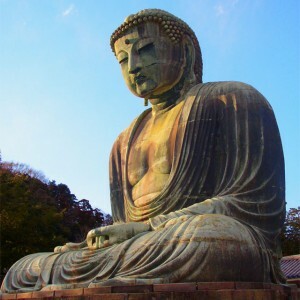 BUDDHISM is one of the world’s great religions with more than 350,000,000 adherents across the globe. That number makes Buddhism the fourth most popular faith after Christianity’s 2 billion, Islam’s 1.3 billion, and Hinduism’s 900 million — and the only one of that does not believe in a single creator. Despite its size, worldwide reach, and different philosophical approach, its basic principles are mostly unknown in the United States, except to some 3 million followers. This Guide is designed to expose readers to the fundamental beliefs that all Buddhists accept. No one will, of course, become an expert on Buddhism after reading this pamphlet, but it is hoped that it will help some to understand why so many individuals in the world believe so strongly in Buddhist teachings. Should you wish to learn more, there are books, temples, individuals, and many websites to help you — some of which are listed at the end of this Guide.